Williams’ George Russell topped the second day of in-season Formula 1 testing at Bahrain after driving Mercedes’ 2019 race winner. 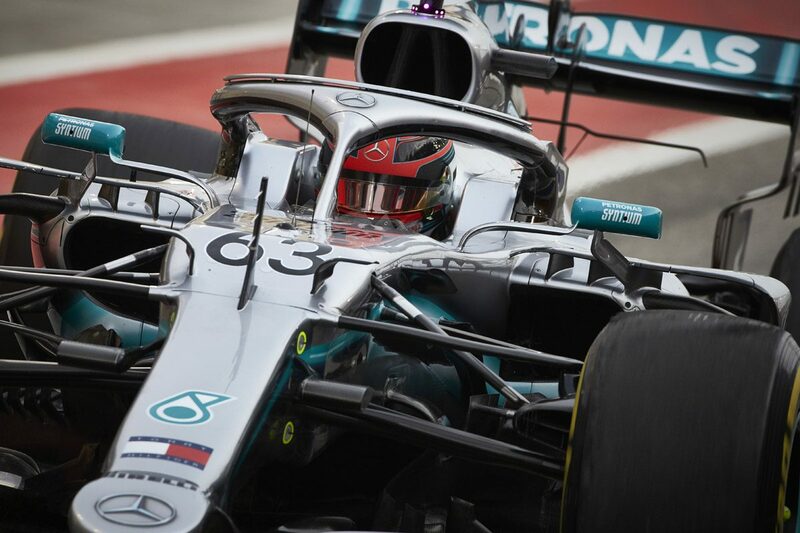 The Mercedes junior clocked 101 laps across the day to top the time sheets, recording the fastest time across the two-day test in the process. Unlike the opening day, the weather abated and allowed for uninterrupted running throughout the course of the day with almost double the running compared with Tuesday’s running. Russell was narrowly quicker than Racing Point’s Sergio Perez, whose 1:29.095s was just 0.066s off the Mercedes’s pace. Sebastian Vettel was third quickest for Ferrari, nearly three tenths further back. With the weather remaining clear the day was comparatively uneventful, though a water leak for Russell hampered his progress late in the day. 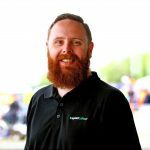 “Unfortunately, at lunch we spotted a small water leak that wasn’t a quick fix which delayed our afternoon program quite considerably,” admitted Mercedes’ Andrew Shovlin. “Whilst we couldn’t complete all our test items, we’ve done the important bits and we leave here with more information and understanding of the car and tyres and we’ve managed to test some developments that we plan to roll out over the next few races. Vettel set the early running before his 1:29.319s effort was overhauled, firstly by Perez and then Russell. Unable to improve, the Ferrari driver ended the day as the first runner on the harder C3 compound tyres, whereas both Russell and Perez had used C5s for their fliers. McLaren’s Carlos Sainz was fourth quickest, the thick end of eight tenths down on Russell, followed by Daniil Kvyat in the Toro Rosso. The Russian was on duty performing tyre testing, and was on prototype tyres as a result, as were Fernando Alonso and Sainz, who shared stints in a second McLaren set aside for Pirelli’s use. In that car, Sainz was the slowest of the day’s runners while Alonso banked the 11th fastest time, the pair setting 129 laps between them. Mick Schumacher was the fastest of the rookies, discounting Russell, putting the Alfa Romeo sixth fastest and recording 70 laps to be within a second of the fastest time. Dan Ticktum was the next best newcomer, three places back for Red Bull having used a set of C4 tyres for his best lap on a day which saw him completed 135. Between them were Alexander Albon, who was the busiest over the day with 143 laps to his name, and Racing Point’s Lance Stroll. Romain Grosjean was next best behind Ticktum for Haas, then Alonso on tyre testing duties, and Pietro Fittipaldi who shared the Haas with Grosjean over the course of the day. The runners were then rounded out by Lando Norris (McLaren), Jack Aitken (Renault) and Nicholas Latifi (Williams), and Sainz in the tyre-testing McLaren. With the two-day test now concluded, teams will travel to Shanghai for the Chinese Grand Prix on April 12-14.